For the first time in my life I have a real need to do a Sunday prep day. After a big haul to the grocery store, Matt and spend only about 30-45 minutes chopping all of the veggies for the week. This has saved SOOO much time on the weeknights!! I just love dirtying up everything once and washing it all in bulk. 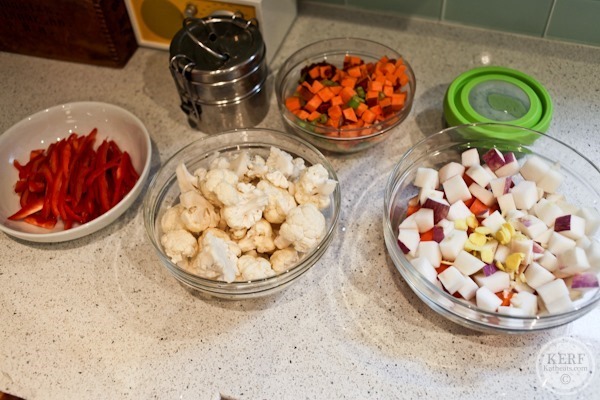 Matt is awesome at chopping veggies, and I work on the pestos/sauces and coordinating all the prep bowls. What makes Cook Smarts so cool is that there is a whole plan for a Sunday prep day that you can opt into if you want. So everything is detailed out for us. It’s so very helpful and saves time. You know how meals made by other people always taste better? This is that effect! Because someone else is telling me the what, when and how to cook, I’m finding that everything tastes better than if I had made it on my own. Jess’s style includes a lot of fresh herbs and lemon/lime juice, and they add that extra layer of flavor that enhances everything in the recipe. Boy did we need some shaking up in the kitchen! Here were our dinners from last week. This was my first Pot Pie and it turned out incredible!!! I can’t wait to make it again when my parents visit this weekend. Instead of a store-bought crust Matt made his standard pie crust and it was smashing. This is another life changer: I love having all the leftovers for lunch! I was getting to the point where I just didn’t want my usual salads with eggs/burgers on top and was craving hot foods. Enter our leftovers! Since the Cook Smarts recipes are for 4 servings, we always have a little extra (even if we accidentally eat 3 servings for dinner!) It’s been so nice to heat + eat. And finally…many of the meals have been surprisingly Mazen friendly! I always though babies like bland foods – mac and cheese, PB&J, chicken fingers. But Mazen seems to like adult food most. The more gourmet the better. I couldn’t get him to touch some plain chickpeas the other day, but the next day he gobbled down a half cup of them in tomato sauce leftover from our Monday Cook Smarts dinner. The next day he shocked me by eating red curry cabbage and carrots. We have a little foodie on our hands, and he has enjoyed so many of the meals both the night of if we’re able to eat together and the next day for lunch. If you’ve been wanting to sign up for Cook Smarts but just haven’t bitten the bullet, here’s another steal for you: a year of meal plans, recipes, prep instructions and cook smarts, all for $50. (That’s $22 the regular cost for a year, which I still think is a great deal!) The code is KERF2014 and expires in 2 weeks, on February 8. Enter below to win a $100 gift card to Whole Foods for some ingredients to get you cooking! You can enter one of three ways (or all three for more entries! ): Tweet (1 entry), by email (1 entry) or by signing up for a free Cook Smarts account and leaving a comment on this post with the meal you’d most like to make (worth 5 entries!). Check out their Archives for all the possibilities! Giveaway will run through the weekend and end at midnight on Sunday. That rotisserie chicken pot pie looks amazing and so does the sandwich with the pesto. All of it really does! the asian style short ribs look so YUM. I have never made something so adventurous so it would be fun to give it a try! I want to try the butternut squash curry! The pot pie looks fabulous! About how much do you think the weekly shopping budget is with this plan? I created an account, but am curious about costs. Thanks! I use Cook Smars, and we easily spend under $100 a week on the meals. It was a bit pricier in the beginning as I amped up my pantry with things I didn’t have, like various curries, but since then, the cost has been very reasonable. I agree. I spend less on groceries than I used to using Cook Smarts. And I use what I buy, esp. in the veggie department, which is a great feeling! I just signed up and the Butternut Squash Curry soup sounds amazing! I have been reading your posts about Cook Smarts and keep debating if I should sign up, I really love the “behind the scene” post and this helped make my decision! Great summary Kath! I signed up a few days ago for the free trial and am going to try some recipes this coming weekend/week. I’m sure I’ll be impressed and thanks for the discount code! The mustard roasted fish with lentils, peas, and spinach sounds fantastic! All of your Cook Smarts meals look sooo good! I’d love to try the pot pie! I think I even loved the salad spinner the most! I really need to get that. Cook Smarts seems like a dream. I don’t mind cooking, I just hate thinking up what to cook! I signed up for the free Cook Smarts account. I would most like to try the Apple-Fennel turkey burgers! I love the look of those chicken melts! That would be something I’d love to learn to make. You never see chicken melts, but what a great idea. I would love to WIN!! 🙂 I love your blog and updates. Just you wait, I think babies are adventurous the it’s the preschoolers that won’t eat anything! I think not eating is the only thing they really have control over so they take advantage of that! I forgot my meal! 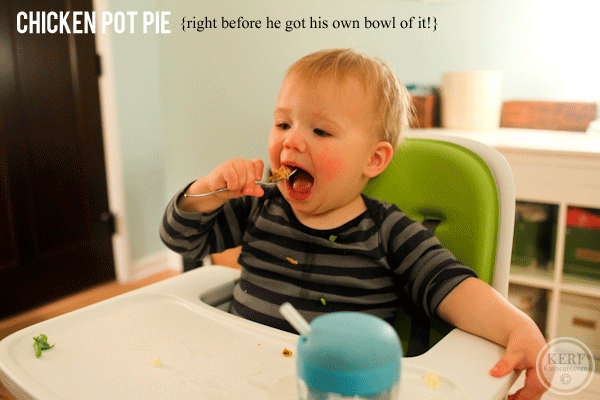 I love pot pie (another thing my kids should like, but haven’t lately). I would love to try a new recipe for it. The thai chicken stir fry with basil looks delicious. Opps, forgot to add what meal I’d make, the BBQ quinoa and black bean burgers! The chicken pot pie looks delicious. I’ve always wanted to make one, but never have. That looks useful! I’m, going to test it out. I need some meal prepping help. I want to make the mustard roasted fish! I just wanted to say, I discovered Cook Smarts through your first sponsored post and immediately purchased a three month subscription when they were offering a Black Friday deal. 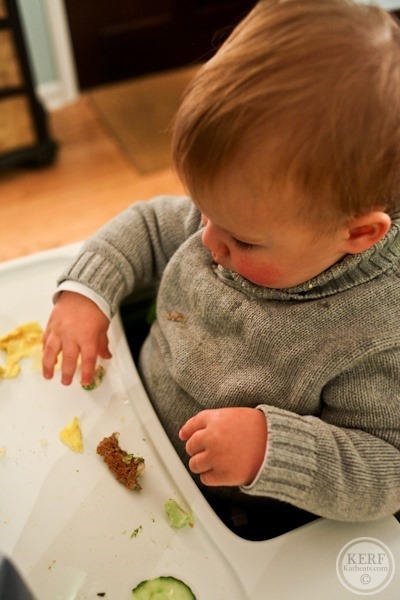 My husband and I are in LOVE with the meals, and like Mazen, our 14 month old foodie son loves them too! 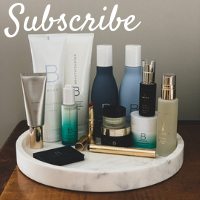 This follow up post and the yearly subscription discount you and Jess are offering couldn’t have come at a better time….thank you for introducing our family to Cook Smarts!!! Oh, and if I had to choose a favorite meal I’d say that the spinach artichoke pesto pasta was pretty superb so I’d definitely make that again! How does CookSmarts work for families who have a strict weekly grocery budget? Is there a function where you can approximate how much you want to spend each week? Okay, I appreciate that, thank you!! I would love to make the sesame teriyaki salmon, it looks so delicious and I’m always looking for ways to cook fish! I love Whole Foods and a giftcard would be great! Have a fantastic Friday! Would love to try the Indian – Spiced Roasted Vegetables! The Sesame-Teriyaki Salmon sounds AMAZING! Thanks for the opportunity and thanks for introducing me to Cook Smarts! The stovetop mac ‘n cheese and panko-breaded chicken “nuggets” sounds like a delicious, healthy rendition on a childhood classic! Panko crusted fish tacos sound delish. It always tastes better when someone else comes up with the recipe idea! I have been looking for something like this. I think I may just sign up! Thanks! I would most like to make the panko-crusted fish tacos! You’ve definitely sold me on Cook Smarts, Kath! As a grad student on a budget, with a crazy schedule, I think this meal plan/ prep style will really work for me, too. I’m excited to try the recipe for butternut squash risotto. I agree, fresh herbs and lemons make a world of difference in cookin! I’m going to try to make the Mustard Roasted Fish, yum! The meals look delicious and I love how the ingredients overlap like the rotisserie chicken and the artichoke-spinach pesto! Do you find that you spend more/less on groceries using CookSmarts? I am wondering if it will require that I buy more expensive ingredients than I generally do! also, I most want to make that pot pie! I’ve been using cooksmarts for the past month and LOVE it!! I love not having to spend time each week coming up with a meal plan. I just print out my grocery list and head to the store. so easy! My favorite meal so far was the chicken pot pie! The butternut squash curry looks amazing!! Can’t wait to look around more!! I love this idea and have been thinking about it since you posted it a few months back. Cooking Smart has great ideas, good meals with varied options if you are vegetarian etc., and a plan that is not too expensive. I liked a few of their menu plans, but I’ll choose; the Panko Crusted Fish Tacos. Your idea may be the inspiration to get me started – thank you. I want to make that chicken pot pie – looks delicious! I would love to try the chicken pot pie! Artichoke Pesto looks amazing as well! I have already made one week of the free meals from CookSmarts, but I am really excited to try the panko crusted fish tacos! The red cabbage slaw looks fantastic! This service is wonderful and is such a help for busy weeks. I think I will be buying a year’s worth of recipes soon, it is so worth it. I’d love to make the pot pie ! I’ve been tempted to sign up but haven’t bit the bullet yet. I love the idea of someone telling me what to make, but I worry that I’ll be too lazy/tired to make meals. The Slow Cook Asian Style Short Ribs look fantastic! I’ve been wanting to try something like that but ribs seem intimidating. I would love to try and cook that chicken pot pie! It looks delicious! Thanks for all you do Kath! This looks like such a great service! I need to get in the habit of prepping more things on Sunday. The few times I’ve done it, the week really do go by smoother. I signed up for Cook Smarts! My husband just bought me 6 months for my birthday last month- I can’t wait to get started now that we’re into the New Year! My son wont eat pizza, pasta, chicken, etc at all. He loves veggies and beans and whatever I am eating. I think a lot of kids like real foods if they are exposed to it. I thought the mustard fish sounded great! I want to make that Pasta with Artichoke-Spinach Pesto! Sounds delicious! the mustard roasted fish sounds great! The Sesame Teriyake salmon looks delicious, as well as the beef and broccoli stir fry with fried rice. An impressive website! Would love to try the beef & Broccoli stir fry recipe! I signed up for the free trial. I would love to try the apple-fennel turkey burgers because apples are one of my favorite foods. A whole foods gift card would be awesome! I’m not going to lie – I hate the grocery store, but I could get lost in whole foods forever. Everything looks soooooooo tasty! Great idea. I signed up for the free account and would like to try the apple-fennel turkey burgers! Wow. I made some Asian style short ribs in my crock pot not too long ago, but they definitely didn’t come out looking as good as those! I’ve been debating weather to start using CookSmarts.$50 for a year of recipes doesn’t seem too bad. This may be the push I needed! I’ve signed up for a Cook Smarts account and my husband and I are SO excited to start! I’ve already subscribed and loved the rotisserie chicken enchiladas! oh and i can’t wait to try the artichoke and spinach pesto!! Those asian short ribs look amazing!! Love this post! I would like to try the Chicken Pot Pie! It looks amazing! I love pesto, so the artichoke spinach pesto!!!!!!!! I think the chicken pot pie looks like a winner! Chicken pot pie looks amazing! The best AND worst thing about cooking is that there’s always so much more to learn! My mother-in-law told me just the other day that she never really uses herbs or spices in her cooking (except for loads of salt) because she “never learned what’s supposed to go with what.” Experiment! Have fun! I’m already planning to make the butternut squash curry this weekend, can’t wait to try it out! Those slow cook Asian short ribs look delicious, as do the chicken melts. The pot pie looks amazing!! I would love to try the pot pie!! I’ll like to make chicken pot pie. Oh man these look good! I think I would most like to try the “Butternut Squash Curry”. We are in a total rut for meals, and glad to hear Mazen likes them. I have two boys, and I really need to start trying to figure out better meals that they like too! Thanks for sharing! Prep Sundays are so key! I used to be so much better about this but I need to start it again! That pesto pasta looks fantastic! I just signed up for the Cook Smarts free trial and I think I’ll try it out next week. I always meal prep and plan but this looks like it might be something I could try on a week when I don’t feel like looking through cookbooks and online for ideas. I’m most excited about trying the turkey apple fennel burgers! P.S. I’m in Canada – am I still eligible for the WF gift card draw? My subscription just expired, but I have a free account now. I’d say I’m most looking forward to the mac and cheese or the fish tacos. Yum! The Sunday food prep was something I didn’t fully take advantage of before, but after reading your take I’m considering renewing my subscription. I recently started taking night classes (and work full time) so Cook Smarts seems like an easy and fun way to still eat delicious, healthy food without having to plan too much myself. I’m all about making things easier and more convenient these days! Forgive me for being dense, but I’m still trying to wrap my head around what makes this different than selecting a few recipes out of a magazine or off of a website. Are the biggest differences/advantages that it is giving you a meal plan that uses similar components/ingredients between meals to save time (i.e. the rotisserie chicken in two dishes & pesto in two dishes), that it gives you a list of tasks for weekend prep and that it creates a grocery list from the recipes? Just trying to better understand because while I can see where this would be a huge upgrade I’m trying to compare it to, say a yearly subscription to cooking light or eating well. Thanks. Ack, my comment was missing a few words and doesn’t make sense. I was saying I could see where this would be a huge upgrade from winging it but was trying to compare it to a yearly subscription to a food magazine. Yes – it’s the ingredient stretching and prep directions and pre-printed grocery list all with 4 amazing recipes. You absolutely can do this yourself if you have the time, but so many of us don’t (or won’t) meal plan so it’s so nice to have it all spelled out. I will definitely be trying the vegetarian version of the mustard roasted fish. It looks delicious! The Moroccan-Spiced Chicken and Carrots looks amazing! The sesame-terriyaki salmon looks delicious. The sesame teriyaki salmon looks right up my alley! I want to make the panko crusted fish tacos!!! Apple-fennel turkey burgers. Oh my gosh those look divine!! Kath, I got turned onto CookSmarts from your blog and it has changed our home cookin’ life! The meals and planning are amazing. 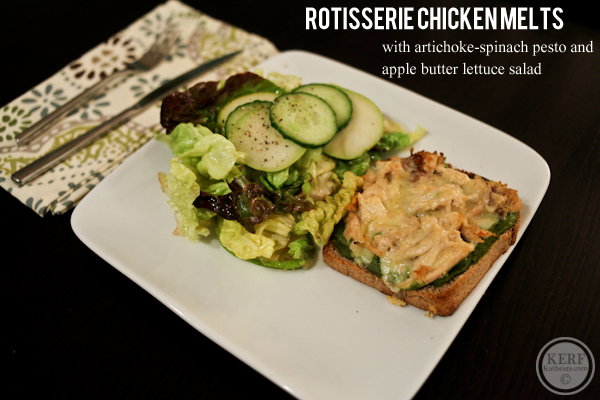 We loved the rotisserie chicken melts from that week’s menu and will definitely make them again. I have always loved the idea of one big day of prep – I think I’m going to have to try this! Cook Smarts looks like a great website. I was curious if your grocery bill has gone up significantly since you have used the site versus what you would normally spend. Just thinking since you are buying specific ingredients for each meal. I would love to try it, though, because it gives you such different meals and basically there is no thought needed. 🙂 Thank you for the discount code. I’m still deciding. It has gone up a little bit because I’m buying portions for 4 people instead of 2 but I’ve had so many leftovers that it’s been worth it. And when a recipe calls for an expensive ingredient (like fish) I just get servings for 2 and adjust the recipe. 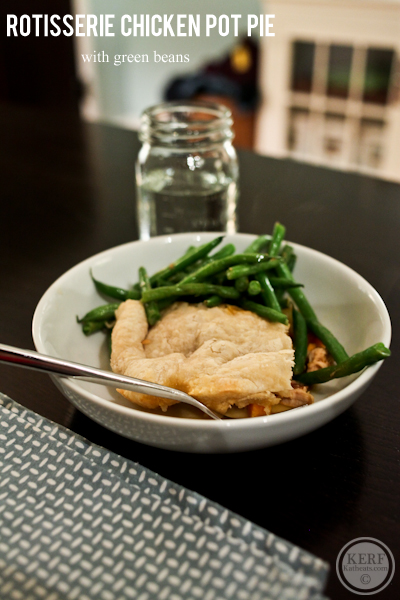 The frigid Boston weather calls for homemade chicken pot pie! I’m excited to try this for free. I want to make the pot pie, too! Sunday prep day is such a great idea! I’ve been thinking about doing it for years, but have never actually done it. I started graduate school this week, so saving time during the week is a must now. Thanks for the inspiration! Oops! And the Adobo Shrimp with Cilantro & Lime Rice looks delicious! I love Whole Foods. 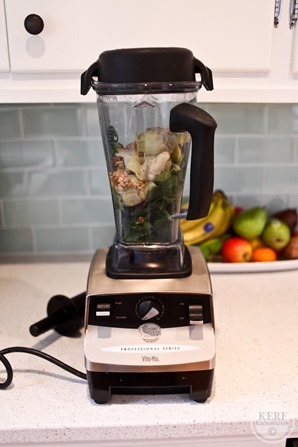 Thanks for hosting this contest – love reading all the healthy recipe ideas you have! Yum yum yum to all of these, especially the artichoke spinach pesto! Asian short ribs & beef/broccoli stir fry! The chicken pot pie looks great! All the meals look great. I’d like to try their Adobo Shrimp with Cilantro and Lime Rice. If this was a vegan service, I’d be down! The butternut squash curry soup. 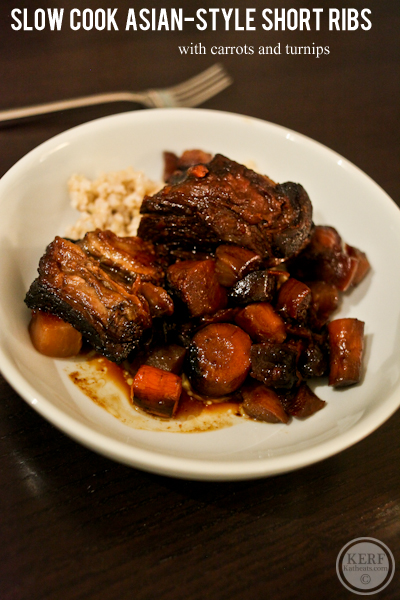 Great idea–those short ribs look awesome! Great post! How college friendly do you think Cook Smarts would be? I live in an apartment and have a little kitchen, so would it be realistic for me to go for it? My roommates and I love to cook – we just need something for a college budget! Thanks! I’m really wanting to try spices and flavors outside of my comfort zone, so I’d love to make the Moroccan Spiced Chicken and Carrots With Couscous! The meal plans look great! Thinking I will try the panko chicken nuggets with sweet potato & b-nut squash soup. If they make this service available in such a way that it can create meals for a couple or one person (#singlegirlprobs) i’d so be down to try it 🙂 Love the meal inspiration, that pasta with artichoke pesto sounds so delish! The Chicken Pot pie looks awesome! Long time reader of your blog, but first time commenting. I just signed up for a free Cook Smarts account, and am most excited about making the panko crusted fish tacos! The pot pie looks amazing!!! The mustard roasted fish looks incredible. I want to cook more fish, but I am so intimidated, but this recipe looks easy and delicious. They had me at fish tacos! You win. I just signed up. 🙂 Thanks so much for the discount code! ooh i want to eat the indian-spiced roasted vegetables! I’m definitely interested in artichoke spinach pest as well! Panko crusted fish tacos – my kids (4 of them – 4 and under) are serioulsy crazy about fish lately and I think they would love this! The Indian Spiced Roasted Vegetables With Leftover Couscous recipe looks wonderful-I think I might have to try it for dinner tonight! I like the apple butter lettuce salad. panko tofu soba noodle bowls. I love that they offer a vegetarian options for every recipe! Kath, What’s the average calorie amount per serving on this plan? I’m trying to lose some baby weight and have been tracking my food/calorie intake. Would this be a program health/diet friendly? I’m not sure what the calories are because that depends so much on portions, but the recipes are definitely healthy. I would focus on smaller portions for weight loss. mmmm chicken pot pie! this looks so appealing going to check it out! I would love to make the pesto artichoke pasta! Yum!! We already subscribe. The chickpeas over spaghetti squash was great. I love the Adobo Shrimp with Cilantro and Lime Rice! The pasta with artichoke-spinach pesto looks phenomenal! I signed up and would love to try the indian spiced roasted vegetables! The panko fish tacos look great. would love to make those panko breaded fish tacos!! The closest whole foods is forty min away from me so when I get to go there it’s the most exciting day ever. I feel healthy and excited just walking in the place! this made me think twice. I definitely like to cook dinner most days of the week, but i’m always stumped at what to make. I’m gonna look into this! The short ribs look amazing! I would love to make the artichoke-spinach pesto! The chicken pot pie – I’ve been looking for a way to use the pie crusts in my freezer. Wish I could be as organized as you on Sundays! I would LOVE to try the chicken pot pie! That artichoke pesto sounds so good! Thanks for the giveaway opportunity! Would love to win! I have a 6mo old who is just getting started on solids….would love to introduce her to some of the cook smart recipes in the near future! Something I love about Cooksmart is that you can customize the recipes to your specific dietary needs. My family is trying a Paleo diet and I was able to customize my free trial meal plans to fit that need. I can’t wait to try the Sesame Teriyaki Salmon! The pasta with the artichoke and spinach pesto looks so good! I think it’s great Mazen will eat so many foods but I don’t really think of it as adult foods. Babies of all cultures eat indian/chinese/etc foods without issue. Mac & cheese as kid food is purely an American thing that is unnecessary! All of their mushroom and eggplant dishes look to die for!! Thanks for the great giveaway!! This wouldn’t’ work for me as I live alone, but I’m debating getting this for my sister who has tried a meal plan service before, but wan’t very happy with the food, these recipes look incredible! The Adobo shrimp sounds yummy! My husband would love the short ribs. One questions – do you print everything ahead of time, each week for your Cooking Smart prep, shopping list and recipes? That has been my one hesitation is that there does not seem to be an easy way to use some of this on my phone or tablet, maybe I’m missing something. What an awesome service, those short ribs sound so amazing! The drawback to this for me would be prepping all your week’s veg at once. I find vegetables either dry out, turn brown or go slimy when cut ahead. I have 2 kids and go to work from 7:30am until they get off school, and I definitely like to make meals that we can have for 2 nights with one prep, but I don’t think prepping as much veg as our family of 4 eats is so time consuming that it needs to be done so far in advance. A service like this looks like it would help with inspiring you to try new things but it’s pretty expensive. I would love to try the pot pie! I love pot pies! I would love this service when I’m in an apartment next year! It would definitely save time after classes! The pasta with artichoke pesto sounds amazing! We’re big pesto lovers in my household!! I’d like to try the mustard roasted fish dish the most! I got a one-month subscription and am LOVING it as well! Some other features that I like are easily being able to customize certain meals to fit a diet (we like to eat less meat, so we opt for vegetarian one or two nights). There’s also a facebook page where you can post pics of you meals, ask questions, etc. I’m hoping to convince my husband to get a whole year’s subscription. It has made cooking with a toddler in the house soooo much easier! Mmmmmmm pesto pasta!! I make pizza and sandwiches with pesto but never pasta =) Will try! I signed up & can’t wait to try their BUTTERNUT SQUASH CURRY recipe. It has 3 of my favorite things: butternut squash, kale, & chickpeas! YUM! Love your blog, especially the meal ideas. Thanks!! The pot pie looks delicious! Definitely Chicken Pot Pie! Your post gave me the craving for one. Looks yummy! I can’t decide what I would want to try first! I know all of them would be liked at my household, but I believe the short ribs would be the one my boys would love! It looks delicious!! those short ribs look so saucy and delish, would love that recipe. i really like the idea of food/prep so when i get home from work hungry, dinner isn’t too far off! I signed up for a free account and tried the mexican meatballs recips. It was delicious! I would have never thought to combine coconut milk with tomato sauce. The slow cook asian-style short ribs look delicious. It really does sound like the best set up! They’ve thought of everything! Love the sound of the artichoke spinach pesto pasta!!! Yummy! This service is a great idea! I already sit down and plan my meals out for the week (complete with a spreadsheet to keep track of the recipes— I am a natural-born planner), but this would be great for crazy weeks when I run short on time. The apple-fennel turkey burger looks so great! My husband loves burgers, so I’m always trying to find healthier options that still satisfy that craving. That pot pie looks awesome! I was actually going to sign up for a subscription but I think you can’t swap out the recipes for something else? My husband is a little weird about certain foods (like fish) so I would need to customize. Good to know, thanks! I think I will sign up! The fish tacos for sure! The Indian spiced roasted vegetables! I would love to make the artichoke pesto,looks delicious! Yum! 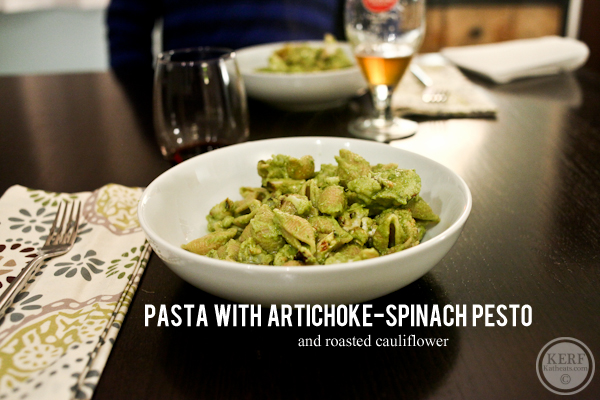 I’d love to make the spinach artichoke pesto pasta! 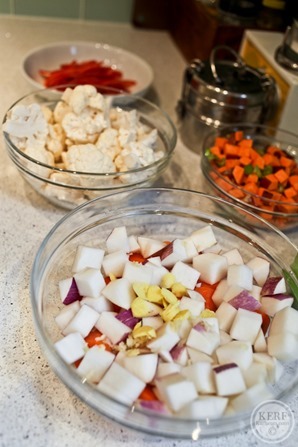 My husband is a vegetarian- does cooking smart cater to veggies?? Looks like most agree–the pot pie looks awesome! It just seems like an ideal winter meal. 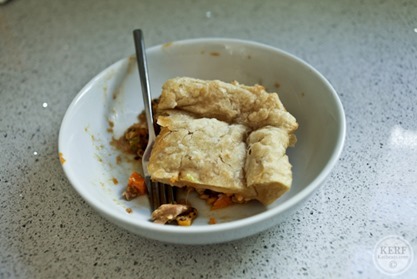 Hi Kath- just wondering if you would share Matt’s standard pie crust or point me in the right direction to find it if its already posted. Everything looks great- signing up for a year right now! I think it’s really cool that she offers a 3-week free “Taste test.” Looking at it, the Morroccan spiced chicken and carrots looks really great! I got my bestie a cook smarts gift certificate based on your recommendation for Christmas! All of this food looks amazing!! I so want to try this app! These all look so good! What a good idea cook smarts is! The butternut squash curry looks great! The rib recipe looks amazing! Looks great! The two bean chili enchiladas look especially good! I would love to try Cook Smarts! this looks amazing! I have been wanting to sign up and now, with this coupon code, I’ll do it for sure! Plus I love that there are paleo AND gluten-free options! Whoops! Meal I’d like to make – the rotisserie pot pie from your post or the Butternut squash curry with kale that was on one of my free meal plans! I think cook smarts is a good idea and I might give it a try to help shake things up in the kitchen. I like the idea of a Sunday prep too because I recently went back to work and have a 15 month old so cooking time is reduced! I signed up for the free trial and am excited to make the apple fennel turkey burgers! Those Asian style short ribs look delicious! this all looks so delicious! love the idea of artichoke pesto. I have two toddlers and am looking for family friendly meals that please everyone – so the chicken pot pie looks great. Apple Fennel Turkey burgers look divine! 🙂 Can’t wait to try it! the short ribs look delicious! Those short ribs look amazing. I signed up for the trial and seems like a really helpful website! Would love to try the Apple and Fennel Burgers. I want to try the mustard roasted fish! Sounds amazing! Just what I need…inspiration and help with organizing. I”m the worst with just picking junk from the fridge and never planning ): Whole Foods is my guilty indulgence so a card would be to die for! I’d go with the pot pie but just use tofu since I”m vegetarian. Forgot to include that in my previous comment…oops! I would love to try the butternut squash curry or the chicken Thai basil stir-fry. haha! the “pulled mushrooms” look good. creative! I loved the idea of Cook Smarts the first time you blogged about it, so I signed up on the email list and browsed around. To be frank, the condescending tone on her emails really turned me off and I never ended up buying any of the meal plans. I consider myself a skilled cook, but I get tired of the task of meal planning and making grocery lists (or I end up too busy). I still think the product itself is great, if only she would temper her tone or tailor emails to a user’s skill level. I usually make some kind of pasta with roasted butternut squash in the winter! I could definitely use something like this to help me mix things up in the kitchen. We get in major ruts from time to time! That pesto pasta looks amazing! The artichoke-spinach pesto sounds amazing! I would love to make the fish tacos! Pesto anything always looks great to me. I’d love to try it with artichokes. I’d love to see the sweet potato fry video or that rotisserie chicken pot pie looks great! Can’t wait to make the chicken pot pie. A perfect winter meal….. This looks like a great kitchen helper! I love that there are vegetarian and gluten-free options. I’d like to make the INDIAN-SPICED ROASTED VEGETABLES. Excited for this free trial, thanks Kath! I’m most eager to try the broiled cod with sauteed cauliflower and chard with raisins. Living on the coast of Maine, I have easy access to fresh seafood and am always looking for new ways to prepare my favorite source of protein. All the fish recipes sound good, especially the mustard roasted fish! Love trying new recipes, and Whole Foods is amazing! Chicken Pot Pie- hot and creamy for the winter cold! That pasta with artichoke-spinach pesto looks amazing! From the site the panko crusted fish tacos look great as well. fish tacos are one of my favorite things to order when out, would love to have them at home! I signed up to preview the recipes and the eggplant bolognese pizzas look delish! I love eggplant and get in a rut of making a simple eggplant parm! Yum! Everything looks delicious!! I would love a whole foods gift card!!! I’d love rotisserie pot pie! YUM! Wonderful post! Everythîng look so appetizing! I’d love to try the chicken thai basil stir-fry. You had me at artichoke pesto…I’m signing up! The MOROCCAN-SPICED CHICKEN AND CARROTS looks so good! The beef and broccoli stir fry! I’d choose the pot pie! I think the pasta with pesto looks great! The artichoke pesto looks so good…and versatile! I’m positive you don’t have kids. Children don’t continue “eat what you start them on.” If that was the case, every elementary school student in my neighborhood would love fresh, steamed veggies and all sorts of interesting, fresh, healthy foods. There is a point where MOST children (regardless of how well they are fed as toddlers) start to reject flavorful foods. Most of the kids I know prefer the bland stuff (plain bread, pasta, cheese, etc) to anything else, despite parents like myself constantly offering a healthy and colorful variety of foods. To say “they eat what you start them on” is insulting to the majority of parents who, YES, started their toddlers on the good stuff. Any person who has elementary school aged children will tell you this. Hear, hear. The whole “judge parents by what their kids will or will not eat” should never have happened. Trust me, when you have dealt with a two year old on a three day hunger strike, the theory that it is all so easy, and just offer them what YOU want them to eat and they will eat it, goes right out the window, FAST. Agree, Beth. Kids go through various phases with food and eating, all completely normal. Early exposure to a variety of foods, flavors, textures is important, because it makes those foods familiar, especially later – but it doesn’t guarantee a childhood free of fussiness. My son loved curry until about the age of 3, then suddenly wouldn’t touch it at all. He went through a definite phase of wanting very bland, simple foods – fruit was loved, veggies not so much. You do the best you can to keep things as healthful as possible, but sometimes you do have to make concessions to their palate (don’t we all?). Some kids will eat broccoli and refuse all other veggies, some will eat veggies and avoid fruit, some will refuse almost anything but a piece of bread or cheese. It works out…you just keep on exposing them to a variety of foods, and they tend to come around after a year or two. That’s not to say you have to feed them junk, but mac and cheese or chicken nuggets (baked, not fried), made from scratch from real ingredients don’t have to be the devil’s diet! In our house, the rule was not being allowed to say he didn’t like something, or say no to it, without having tasted it. As he’s grown, he’s come to love many of those old “yuck” foods, but I think a big part of that was exposure without judgment (instead, encouragement to try new things and praise for doing so). It all sorts out, but don’t worry if a time comes where your kids refuse a lot of familiar foods as it is completely normal. Ohhhhh! any of the Chinese type foods or pot roast! YUMM! The panko crusted fish tacos look light and wonderful! I signed up for the free version and I can’t wait to try the Sesame Teriyaki Salmon!! Looks delicious!! i would love to make that chicken pot pie! Short ribs!!! They look sooo good! spinach pesto artichoke pasta….BBQ quinoa…Indian spiced roasted veggies…. black bean burgers… everything!! Thanks for the discount (great product!) and the WF giveaway!! I want to try those ribs and more! I would love to try the short rib! My husband lovessss chicken pot pie. I would love to try my hand at the recipe. Also hoping that my picky toddler will gobble it up as well! I’m excited about the panko-crusted fish tacos! The slow-cooked Asian style short ribs look amazing! I signed up for the free account, what a great idea. I would want to make the two bean chili with Anaheims and portabellos! Asian short ribs look delish! Everything thai/asian or indian. Happy to see they propose these. But for someone who don’t really eat meat, the recipes are very meat oriented… So I don’t know. They should propose a weekly vegetarian option maybe ? Cook Smarts sounds awesome. And that chicken pot pie looks deeelish! Can’t wait to try the sesame-teriyaki salmon. Looks delicious! Great idea organization is key! And I love the rotisserie chicken ideas! I would love to make the Panko crusted fish tacos they look yummy. Just signed up! Hello, Paneer Tomato Curry With Basmati Rice!!! I want to make the chicken pot pie you made!! Nothing more comforting and it looks absolutely delicious – yum!! Those meals look amazing!!! 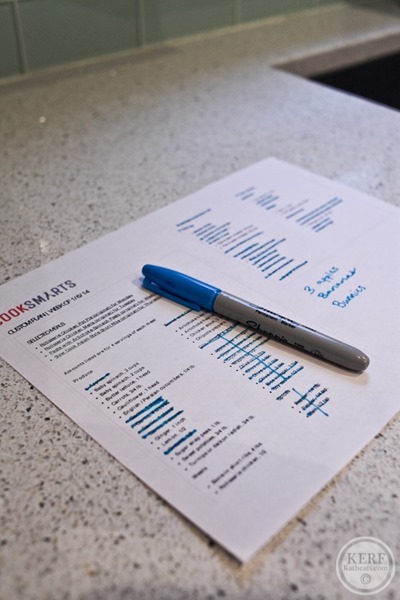 Cook Smarts sounds like an easy way to learn new recipes and plan for the week! I signed up for the free trial, but I am a bit sad to see that they don’t provide nutrition information?!?!? I am thinking about trying the Panko chicken nuggets. I’m in the same boat, Laura. I’m still at a place where I NEED to be paying attention to calorie content, so I’d definitely use this if nutrition info was included. I already do all of my prep (and cooking) for all three meals for at least five days every Sunday… But I’d love the chance to splurge at WFM for some new ingredients. And short ribs are my absolute favorite food! All of those recipes sound great! I love the sunday meal prep instructions! The chicken pot pie looks delicious, but the short ribs look so gourmet! I would love to learn how to make those. The mustard roasted fish with lentils and peas looks wonderful!! I just signed up! I’m so excited. I was in a total cooking rut and needed this badly! I would love to make the Steak with Romesco sauce. I can’t wait to go shopping today. I’m living without a kitchen right now, but I think this would be a great service to have in the future! I bought a CS subscription back in the fall and am loving it too!! Butternut squash curry!! Just signed up, can’t wait to try it out – thanks!! Sesame teriyaki salmon looks awesome! Have you tried Blue Apron meals? Kind of the same and people in the NYC/NJ area here are obsessed with it! I have heard about Blue Apron and have a friend who has done it, but I don’t know it’s a cost effective long term solution. Plus I like picking out my own ingredients. But it is really cool for those who want all of that done for the. I signed up to get the recipes from Blue Apron and buy my own ingredients. I’ve made quite a few of the vegetarian recipes and the meals are designed for two people, which is great for us as I often make too much and they eat too much as well. I’m still thinking of signing up for Cook Smarts though as I like the idea of prepping things beforehand and having ingredients that are used from meal to meal. I’d love to make the Mustard Roasted Fish with lentils, peas, and spinach! I want to try out the salads. All look so good. Signed up! Panko crusted tacos sound great! I definitely want to try the butternut squash curry! Absolutely everything looks delicious and easy, but I’m most excited for one of the simplest recipes – chicken pot pie! Comfort food at its best. Haven’t had chicken pot pie since I lived under my mother’s roof, and this will bring back some great memories. Thanks for the subscription discount! I would try the Panko Crusted Fish Tacos! Everything sounds so great but the Asian style short ribs look amazing! The pot pie looks delicious!! I love fish tacos so the panko crusted fish tacos so will be my first recipe to try. They look amazing! 3 meal plans for free is incredibly generous! Cook Smarts is going to be just the thing to get me back in the kitchen. Thanks Jess! Love this idea!! I’m definitely going to sign up and give cooksmarts a try!! I LOVE making chicken pot pie for my family….so trying a different version would be great. I typically bake up the chicken and do a pot pie and a chicken & wild rice soup. that gives me several meals with little clean up. I would also love to try any of the seafood dishes they have posted!! that artichoke pasta looks amazing! I would definitely make the chicken Thai Basil Stir Fry! Cook Smarts is a great idea! I signed up and want to make the Moroccan Spiced Chicken! That pot pie looks delish! The stovetop mac and cheese looks so yummy!!! I have to admit though, I am a terribly picky eater and not sure I would like all of these meals! Is there a way to customize them? I signed up for the free trial and am making the butternut squash soup tonight. Sounds interesting! I’m impressed with the price point, too. Do they come up with their own recipes? Is there any way to add your own recipes and still have those ingredients show up on the shopping list? I’d love the short ribs. I always feel like I get ripped off when I order short ribs in restaurants, so making them at home sounds like a great option. I have to make that pot pie!!! I would definately want to try those ribs! The chicken pot pie looks delicious. Thanks for a good review! I want to make the beef and broccoli stir-fry. Anything Paleo….maybe a paleo pot pie? Can’t believe they have paleo recipes. Very cool. It all looks fantastic, but the first thing I would try is the Pot Pie! The panko-crusted fish tacos have me drooling – would love to try to make those! Love the quick video for kale prep! The indian roasted veggies on the cooksmart site sound great! I’d opt for the Sesame-Teriyaki Salmon – yum!! Looking forward to giving the short ribs a try! Thanks for the promo code. I am excited to get started with the chicken with honey lemon butter. Thanks again… Great deal! The Thai basil chicken sounds delicious. I signed up and the seared tofu matchsticks with curried cabbage and carrots looks amazing! Panko crusted fish tacos, all the way! They look amazing!! Love the Chicken Melts with Apple Butter!!!!! Yum!!! Love even more that Cook smarts will tailor the menu for people who follow a Paleo/Primal diet!! Thanks for introducing us to this Kath! Seared tofu matchsticks sounds right up my alley! Signed up! MMMMM Asian style short ribs! This is a great idea for everyone; busy parents and single people! And i would try the chicken pot pie! Looks yummy! The panko-crusted fish tacos sound really good! I’d love to try the indian-spiced roasted veggies! I would love to try the Sausage and Mushroom Frittata With Mixed Green Salad! We love eggs-so easy and versatile! The short ribs look incredible. I love to cook! One day of prep sounds amazing though…I don’t like having to clean up. I signed up for the free account last night and I am going to go ahead and purchase the year of plans. I saw a number of recipes that I would enjoy and I love that I can customize them to be gluten free or paleo since I can’t handle dairy or gluten. The Adobo Shrimp with Cilantro and Lime rice looks great and so does the Teriyaki Salmon. I want to try the apple fennel turkey burgers! Thanks for sharing! I just recently went to a crockpot meal workshop and made 12 meals to freeze and have ready, and while it was alot of work up front it’s nice to have healthy meals ready to go on weeknights! I will have to look into this new option! I’m making the butternut squash curry tonight! Can’t wait to gift a subscription to my brother/sister-in-law and new baby! As the mother of a very picky eater, I’m looking for any suggestions at how to get my kid to eat more variety when it comes to food. I guess I need to start giving her things that aren’t so bland too, maybe that’s been our problem. Thanks for the idea, Kath! Have you ever attempted to devise a more strict weekly plan for yourself on your own before using this service? If so, how does the experience compare? Hi Kath! Sausage and Mushroom Frittata With Mixed Green Salad sounds awesome and I’d love a great frittata recipe on hand! Every time I make an egg dish (frittata or quiche) it never turns out right. All the meals look delicious! I am in SUCH a rut with my cooking right now! Cook Smarts sounds fantastic. Thank you so much for the discount! I am really looking forward to a new journey with food! The short ribs look great! The pesto pasta looks delish! Panko fish tacos look great. Can’t wait to try them! Slow Cooker Bean and Soyrizo Stew looks great! I just signed up for a free account, and I just might have to take the plunge and buy a year since that’s such a good deal!! 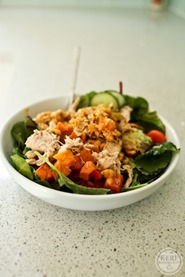 So many of the fish recipes look great– something I don’t usually cook but that Cook Smarts makes much more accessible! I signed up for a free trial and can’t wait to make the Maple Dijon Panko Crusted Salmon With Clementine, Apple, and Pecan Salad! Panko crusted fish tacos are my favorite! Hi Kath! Thanks for the discount code! Was debating about whether or not to sign up and I took this as my little sign to go ahead and do it! I would love to make the mac n cheese with green beans. I think my four year old daughter will love it! Holy cow, I want to make those slow cook asian short ribs in your post, they look AMAZING! Wow, lots of good eats! I would want to try the apple fennel burgers! The butternut squash curry sounds amazing! Those short ribs look incredible!! I’ve been away from reading blogs for a while. It looks like I came back at the right time. Thanks for this opportunity. I would love to make the tofu fajitas! I’d like to try cooking these dishes and see if my family will love it. I want to try something new and offer them a great food. I signed up for an account and I am drooling over your Asian short ribs! Mmmmmm… the chicken pot pie looks yummy! Fish tacos look amazing with the red cabbage slaw! as a busy college student, sunday morning food preps are a lifesaver! I love to splurge on the amazing yogurts and frozen meat alternative meals at WFs! I signed up for cook smarts and the Moroccan chicken sounds yummy! Great giveaway! Your pasta with artichoke pesto looks smashing! I’d love to give it a try. Does Cook Smarts have an option to automatically convert a recipe to accommodate other serving sizes? Like for a family of 6? I know I could do the math, but an option like that would be so convenient!! Also, when you make the dressings for the salads, is the amount just for that dinner or are there leftovers? Just curious….. There isn’t an amount converter yet. Thanks for your comment! At the moment, we don’t have a vegan option but we also don’t feature dairy (e.g., butter, cheeses, egg) very frequently as ‘integral’ parts of a meal. There is the occasional pizza or egg breakfast for dinner, but we do see a lot of great vegan substitutes for these items these days. If you’d prefer not to do that, you can always go back into our Archives too and search for a vegan alternative. Our suggestion is to sign up for a free account and see if adapting our vegetarian dishes works for you. Please let us know if you have any additional questions. We’re happy to help! We are doing eMeals which is similar. Very cool! I signed up for Cook Smarts based on your recommendation. The meals are very good, and we’ve really enjoyed them. Where is the option for Sunday prep? Unfortunately, I think their customer service is lacking. I’ve emailed them twice and have never heard one word back. When you customize your mean plan there’s a “make ahead” tab (next to the grocery list). It’s optional, but totally helpful. I do ALL the prep I can and more on Sundays now! I’m so sorry you have had a bad customer service experience. I know Jess would not ignore an email, so I’m tempted to think something went wrong. I’ll let her know to look for yours! Hi! Sorry you had trouble with customer service. We are a small team but do try to get back to everyone! Perhaps something went wrong as Kath mentioned. 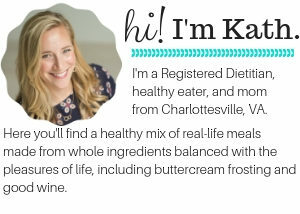 Send me an email (carly at cooksmarts (dot) com) and I will direct you in the right place!